Al-Hayat newspaper says indirect negotiations between Hamas and Israel being held with Germany's mediation regarding deal which may include return of remains of IDF soldiers Lt. Hadar Goldin and Staff Sgt. Oron Shaul and Israeli citizens Avera Mengistu and Hisham al-Sayed. Germany is mediating indirect negotiations between Israel and the Hamas terror group regarding a possible prisoner exchange deal that may see the return of IDF soldiers Lt. Hadar Goldin and Staff Sgt. Oron Shaul, who were killed during Operation Protective Edge, according to a report Thursday by Al-Hayat newspaper. The two soldiers' remains have been held by Hamas since they were killed in the 2014 operation. The deal may also include the return of Israeli citizens Avera Mengistu and Hisham al-Sayed in exchange for the release of Palestinian prisoners jailed in Israel. According to the report, German envoys made several secret visits to the Gaza Strip and met with Hamas officials to discuss the possibility of implementing the prisoner exchange deal. A German diplomatic delegation has been in contact with and Israel and the Palestinian Authority. In addition, and a new German mediator was appointed for the task and is operating to promote the deal from Berlin. It is unknown whether the German mediator is making any headway on the matter. Egypt is also said to be involved in the mediation process and monitors its progress. In recent days it was reported that Israel is holding talks with Hamas about humanitarian issues gripping the strip. The Qatari Ambassador to Gaza Mohammed Al-Emadi confirmed on Sunday evening for the first time that Israel is holding indirect discussions with Hamas in an effort to formulate a solution to the humanitarian crisis in the strip that will include infrastructure projects and creating new job positions. "We demanded from the Israelis and the Americans the removal of the blockade on the Gaza Strip and we emphasized that. We are working on this but have not yet reached a result,” the Qatari diplomat stated without elaborating on what Hamas had offered in return. Defense Minister Avigdor Lieberman recently struck an agreement with Cypriot President Nicos Anastasiades to begin plans to build a seaport for Gaza that will operate in Cyprus and will be supervised by Israel, according to a report on Channel 2 News last week. According to the report, within two weeks work teams will be established and within three months, the blueprint for the construction of the seaport will be presented which will include an Israel supervision apparatus to ensure that the Gaza-ruling Hamas organization is unable to exploit the new port for smuggling weapons into the strip. In addition, Cyprus confirmed US is formulating an aid package meant to alleviate Gaza's humanitarian crisis conditioned by Israel's demand to retrieve the remains of the soldiers and Israeli citizen held captive by Hamas. 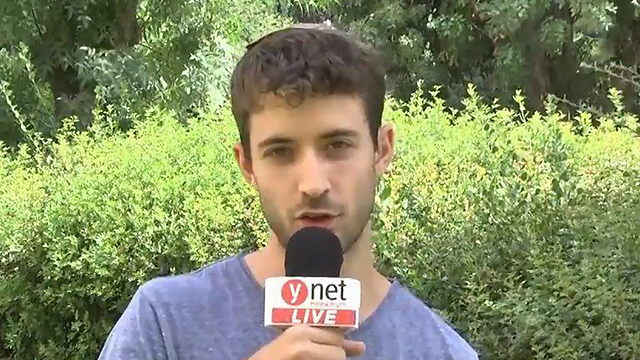 Tzur Goldin, Hadar’s twin brother said in a Ynet interview that "the return of the captives and missing persons must be "a condition in any humanitarian agreement." "We're not talking about taking food and sustenance from the residents of Gaza, but any solution that could better the situation, to create a different security agenda," he asserted. "We have to send a message to Hamas: the kidnapping of Israeli soldiers will not result in the release of Palestinians prisoners or in terrorists' victories, but rather, Hamas will release all kidnapped captives and think twice about doing it in the future. A humanitarian agreement in return for the humanitarian return of the captives." Humanitarian actions cannot be one-sided, he argued, adding that "they have to come from both side." Ilan Mengistu, Avera Mengistu’s brother, said prior to the publication of the German initiative that, "We have yet to receive an official update." "We received no information from the coordinator (for MIAs and POWs) or the state of any progress on the matter. There is no doubt that there is incompetence and indifference to the subject in the government." See all talkbacks "Report: Germany working to promote prisoner exchange deal "